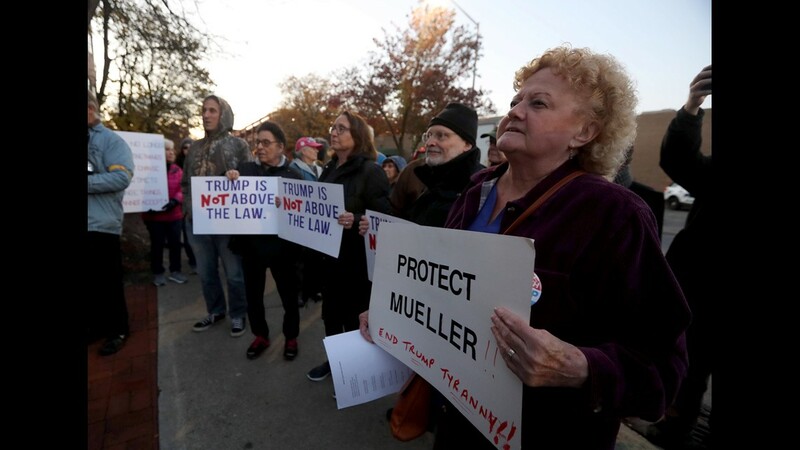 Over one-hundred people attended a rally in front of Senator Chuck Schumer's local office in Peekskill, N.Y. calling for the protection of the Robert Mueller's investigation Nov. 8, 2018. 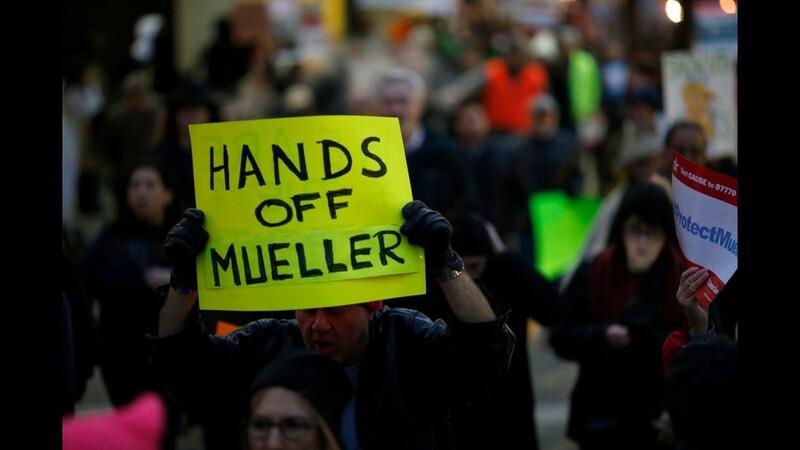 The protest, which coincided with similar protests across the nation, came in the wake of President Trump's firing of Attorney General Jeff Sessions. 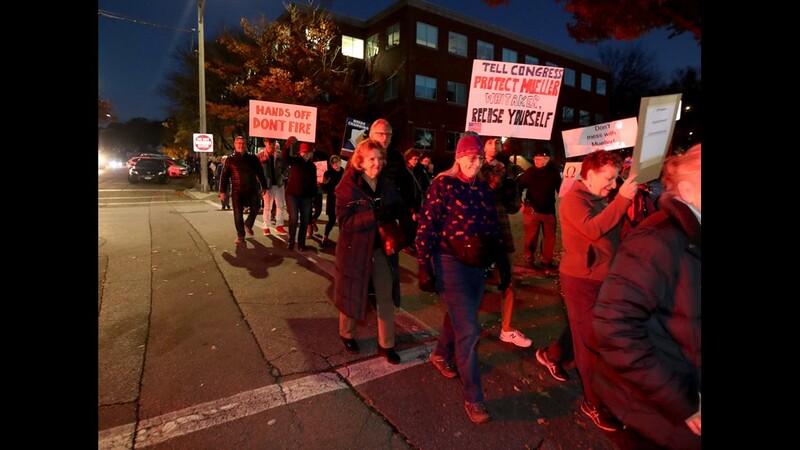 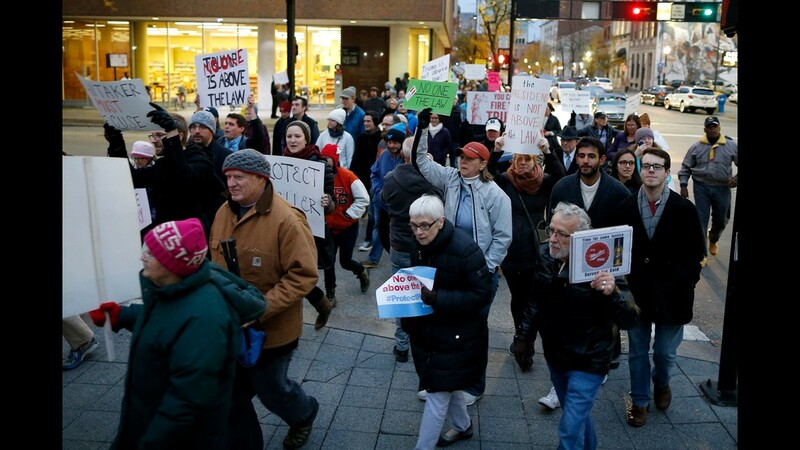 Over one-hundred people marched from Senator Chuck Schumer's local office in Peekskill to downtown Peekskill during a rally calling for the protection of the Robert Mueller's investigation Nov. 8, 2018. 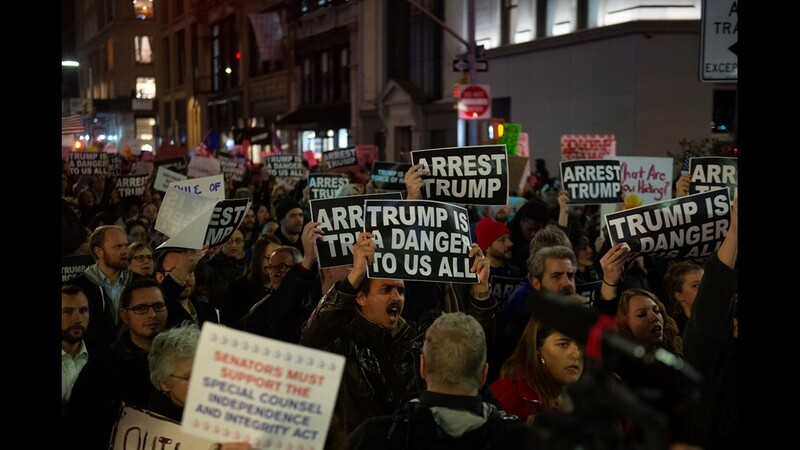 The protest, which coincided with similar protests across the nation, came in the wake of President Trump's firing of Attorney General Jeff Sessions. 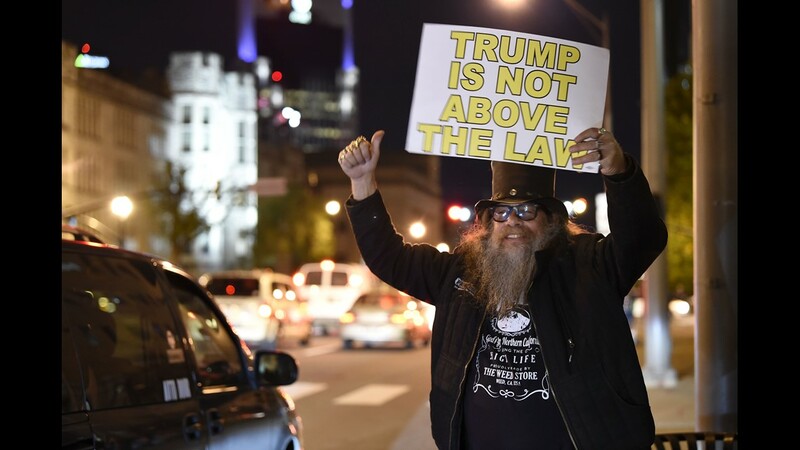 Demonstrators protest against President Donald Trump along Broadway in downtown Nashville on Thursday, Nov. 8, 2018. 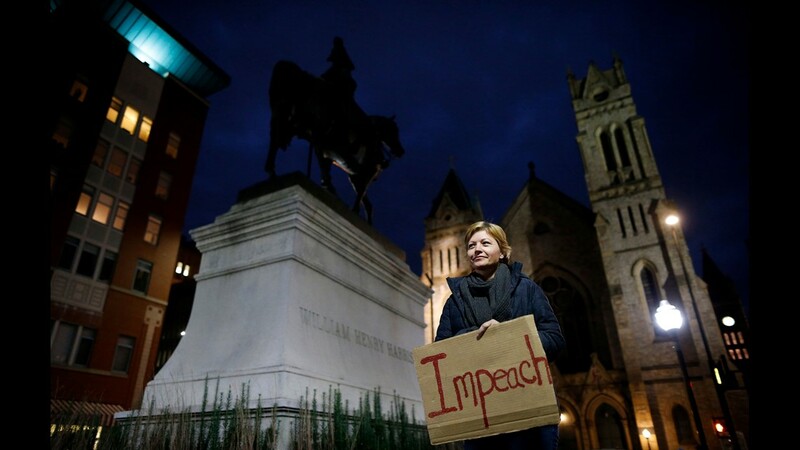 Heather Wehrman, of Anderson Township, stands under a statue of William Henry Harrison with a sign calling for the impeachment of President Donald Trump during a nationwide protest following the resignation of attorney general Jeff Sessions and Trump's appointment of Matthew Whitaker at Piatt Park in downtown Cincinnati on Thursday, Nov. 8, 2018. 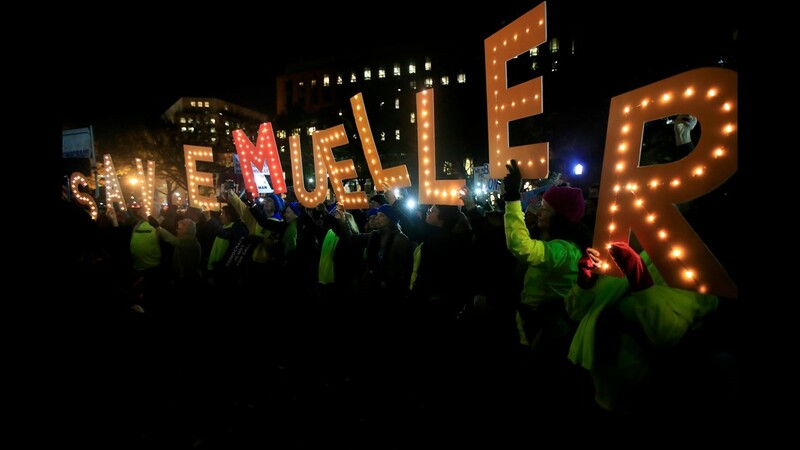 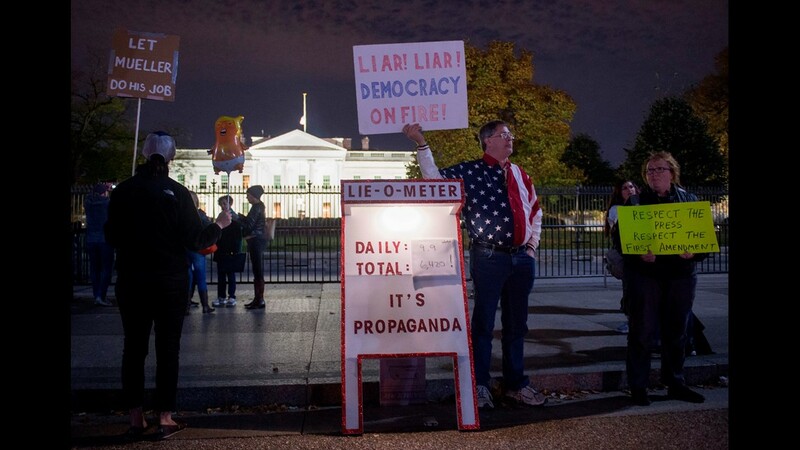 Protesters gather and hold banners in front of the White House in Washington, Thursday, Nov. 8, 2018, as part of a nationwide "Protect Mueller" campaign demanding that Acting U.S. Attorney General Matthew Whitaker recuse himself from overseeing the ongoing special counsel investigation. 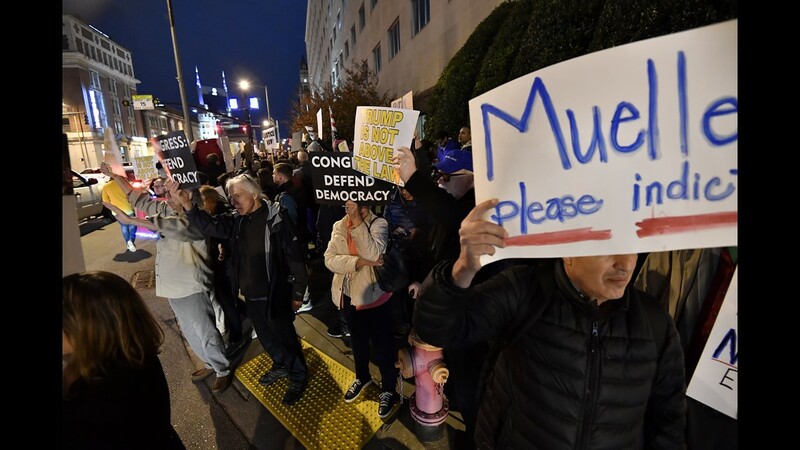 People hold signs as they protest against the US president's alleged interference in the Robert Mueller investigation outside the White House in Washington, DC, on November 8, 2018. 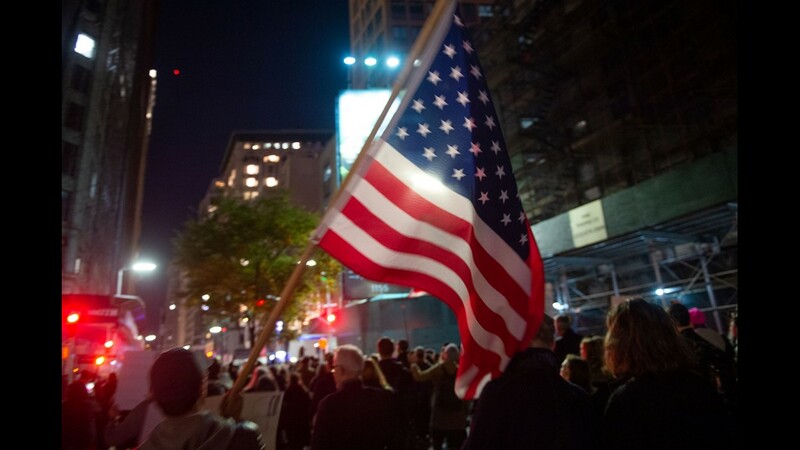 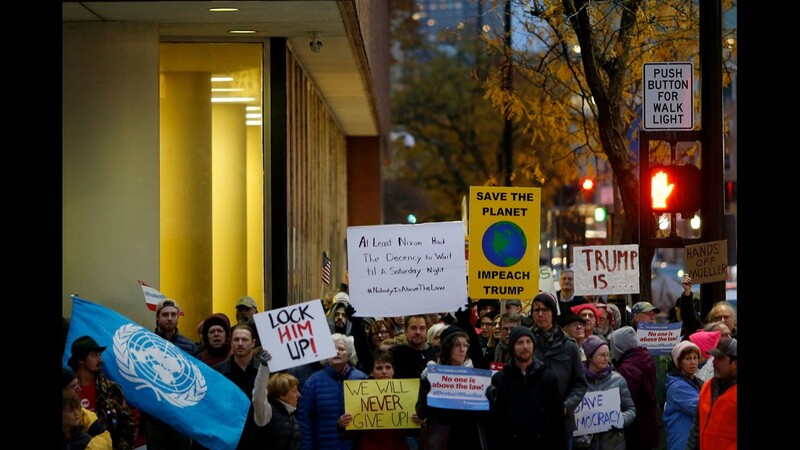 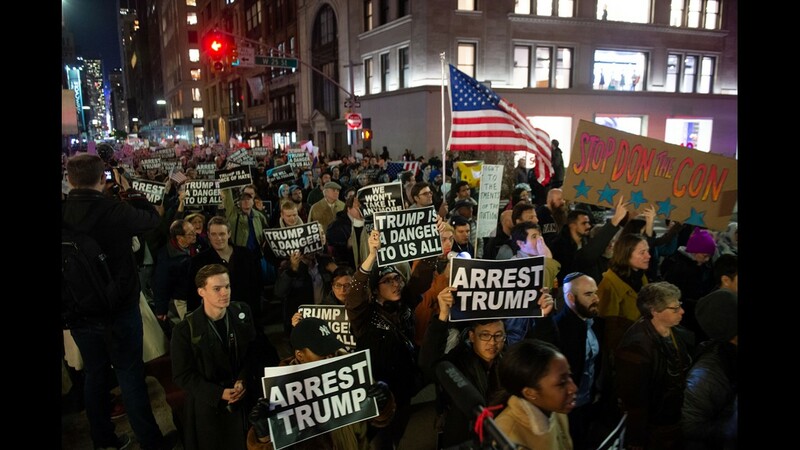 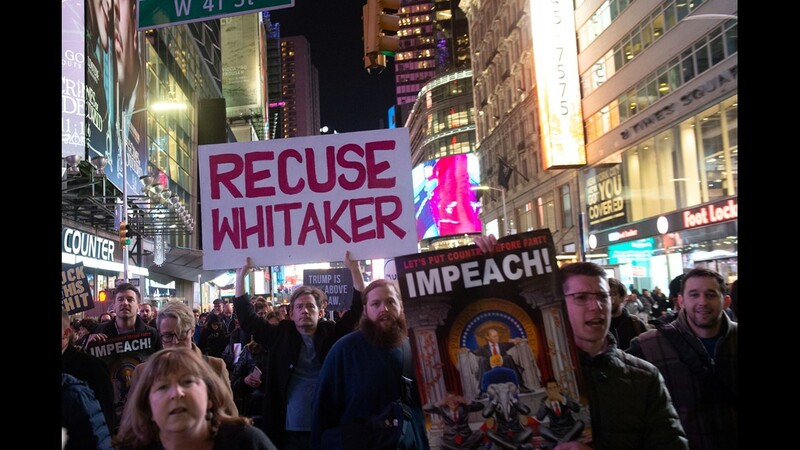 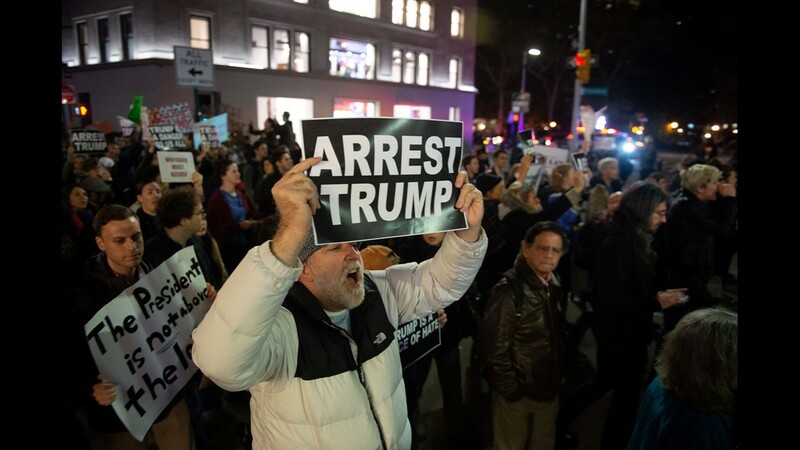 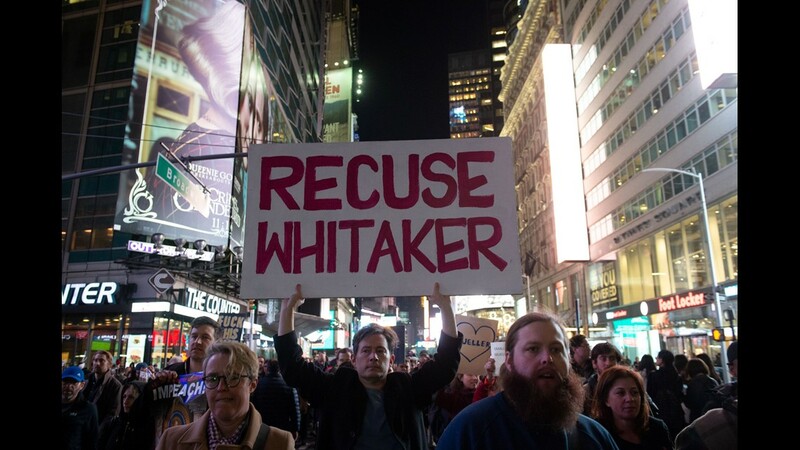 People protest and march against US President Donald Trump's alleged interference in Robert Mueller's investigation in New York City on November 8, 2018. 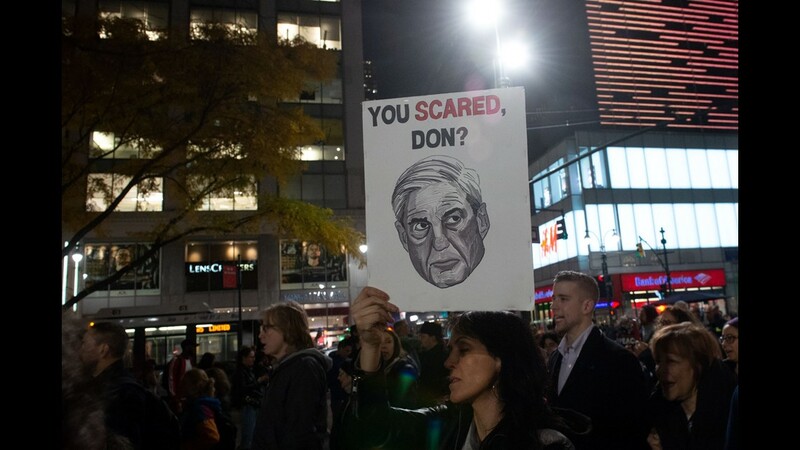 People protest and march against US President Donald Trump's alleged interference in Robert Mueller investigation in New York City on November 8, 2018. 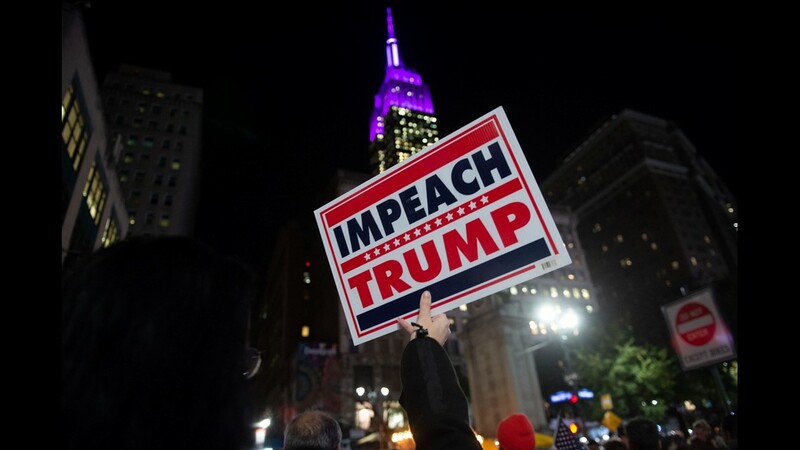 - President Donald Trump was accused on November 8, 2018, of pushing America toward a constitutional crisis after his firing of the attorney general cast doubt over the future of an explosive probe into election collusion with Russian agents. 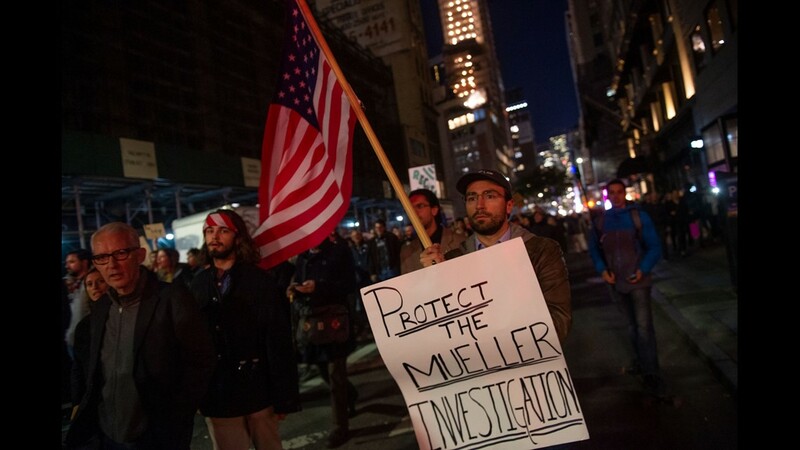 People protest and march against US President Donald Trump's alleged interference in Robert Mueller investigation in New York City on November 8, 2018. 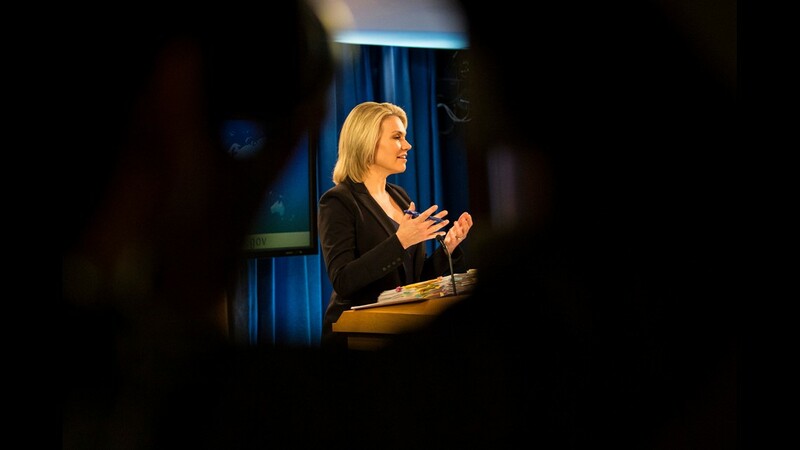 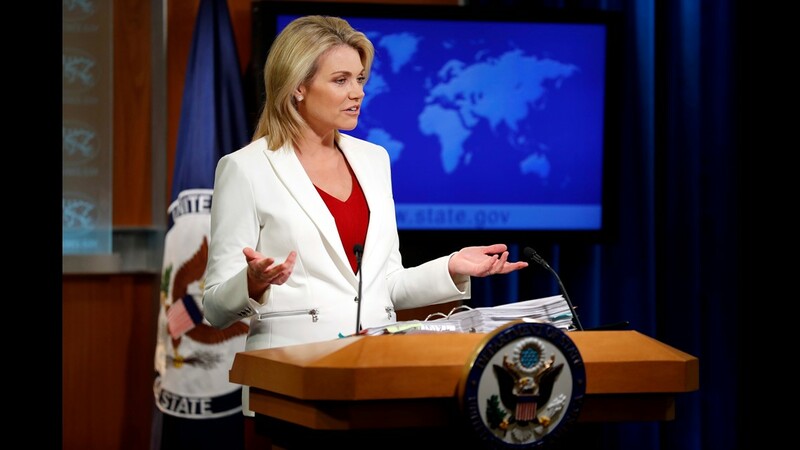 State Department Spokesperson Heather Nauert speaks during a briefing at the State Department in Washington on Nov. 30, 2017. 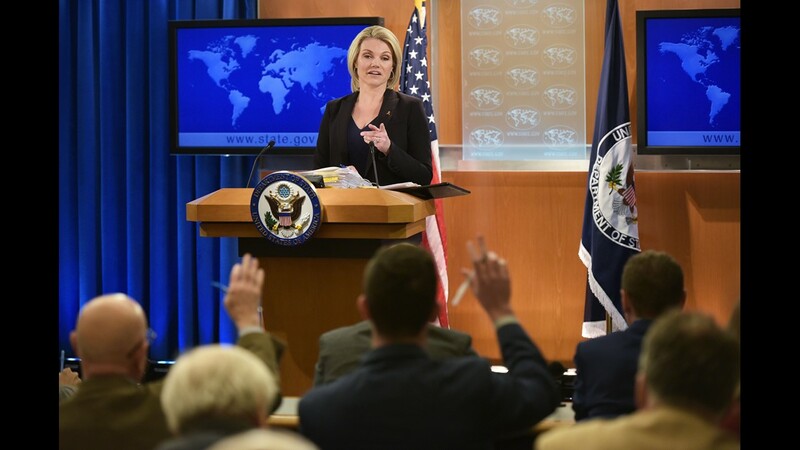 State Department Heather Nauert, center, during the first-ever Ministerial to Advance Religious Freedom held on July 26, 2018, at the Department of State in Washington. 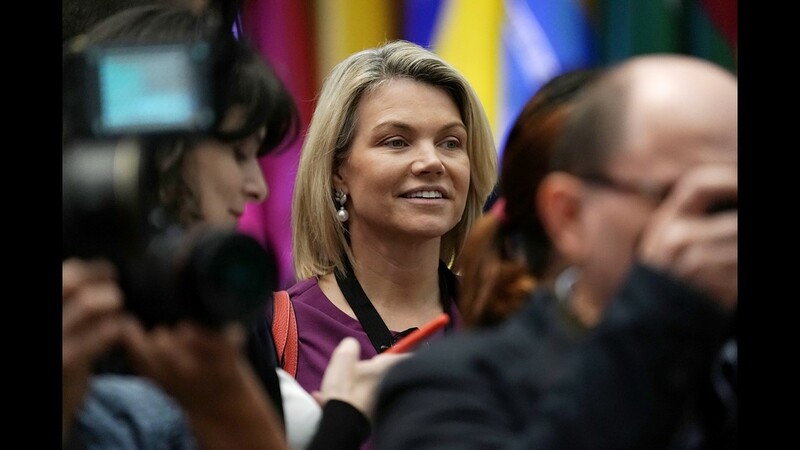 State Department spokesperson Heather Nauert speaks in the press briefing room at the Department of State on Nov. 30, 2017, in Washington. 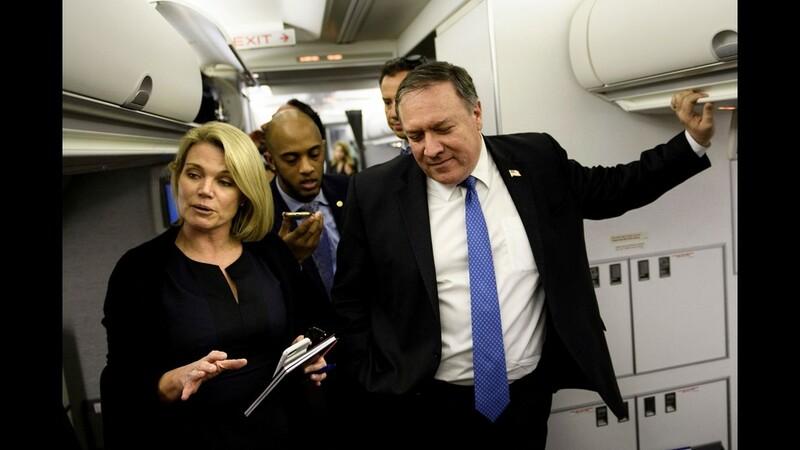 State Department spokesperson Heather Nauert, left, listens while Secretary of State Mike Pompeo speaks with reporters in his plane while flying from Panama to Mexico on Oct. 18, 2018. 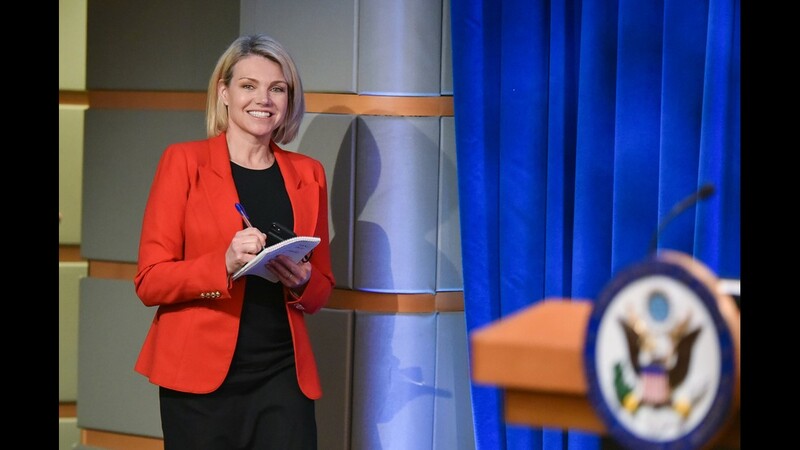 State Department spokesperson Heather Nauert arrives for the release of the 2017 annual report on International Religious Freedom on May 29, 2018, in the Press Briefing Room at the US Department of State in Washington. 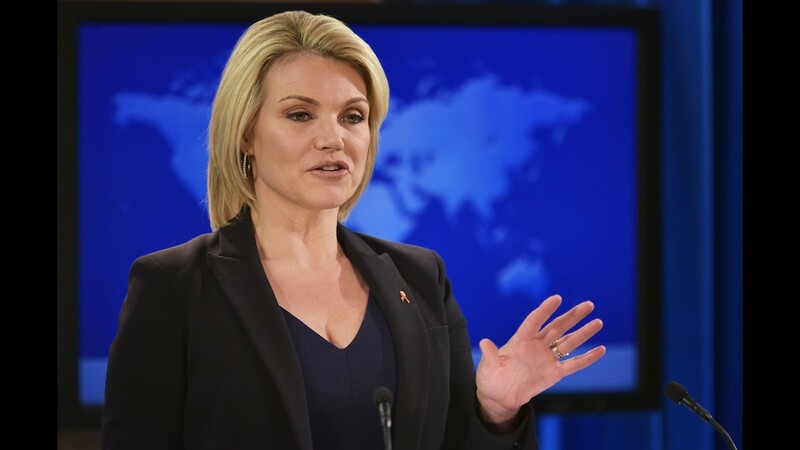 State Department Spokesperson Heather Nauert speaks Nov. 30, 2017, during a briefing at the State Department in Washington. 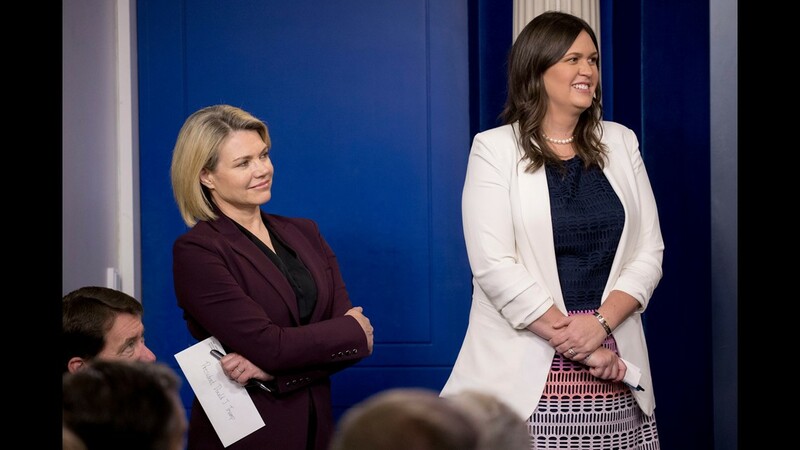 State Department spokeswoman Heather Nauert, left, and White House Press Secretary Sarah Huckabee Sanders smile as Secretary of State Mike Pompeo speaks at a news conference on North Korea in the briefing room at the White House on June 7, 2018, in Washington.